Summary: Do you like cool body jewelry designs? 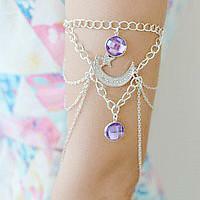 If so, you may love today's handmade flower and chain body jewelry. It's very easy to make. Handmade body jewelry is a unique way to express your personality through fashion. 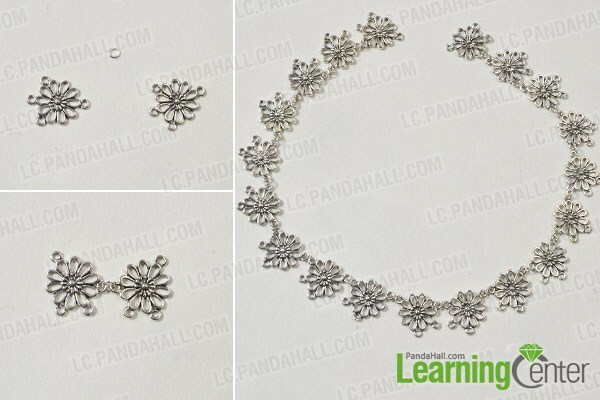 In this easy DIY project, you can see how to make a handmade flower and chain body jewelry. 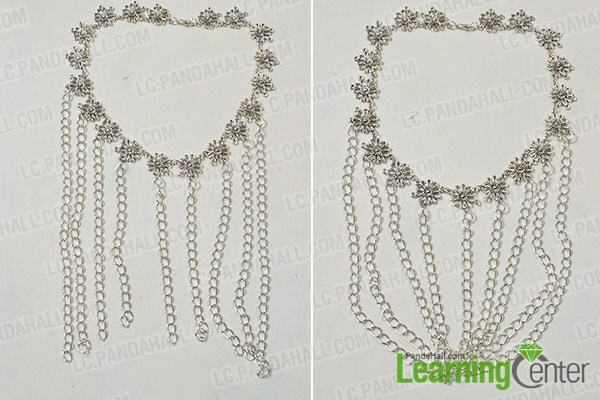 Just with two simple steps, you can make this handmade chain body jewelry at home with string material and jewelry making findings. Now, follow me to see how it's made. 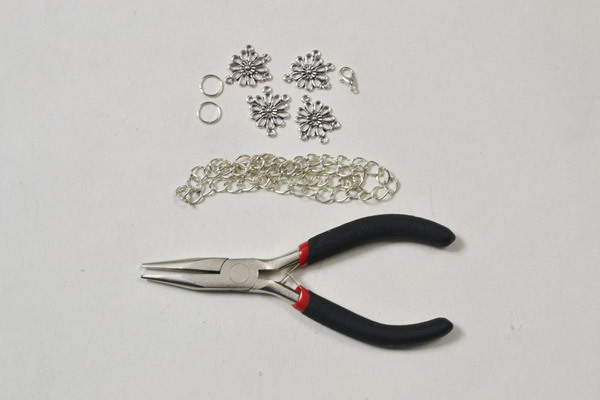 3rd, combine the two ends together through a silver lobster clasp and jump rings. 3rd, cut 8 parts of brass cross chains. 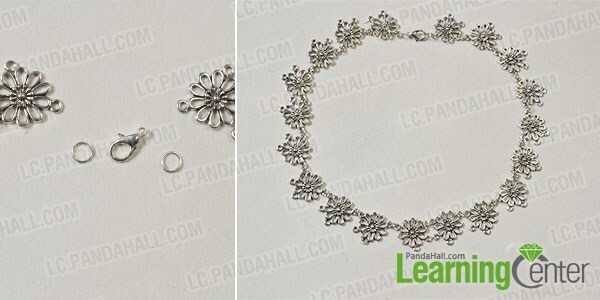 Then, combine one end of the brass cross chains with the silver jump rings and the other end of the brass cross chains with the top antique silver flowers (as shown in the picture). Here is the final look of the handmade flower and chain body jewelry. 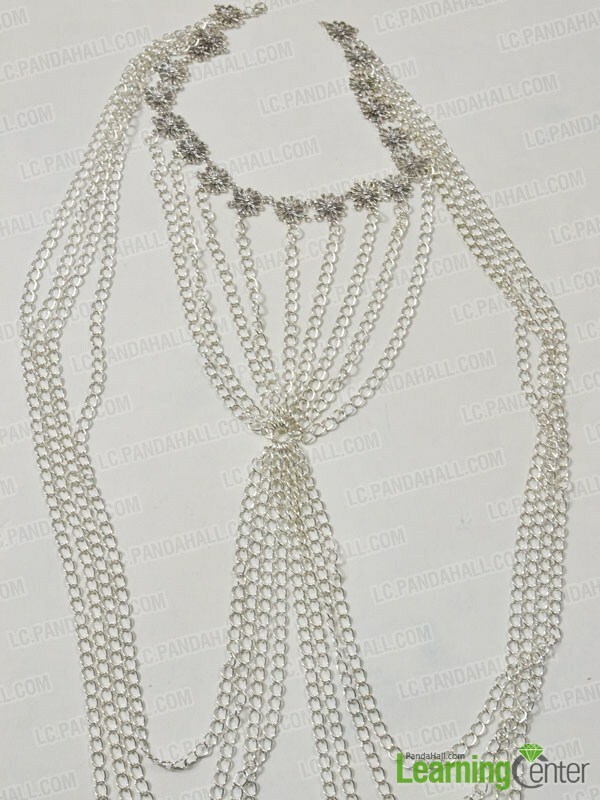 This handmade flower and chain body jewelry is fun and exotic. 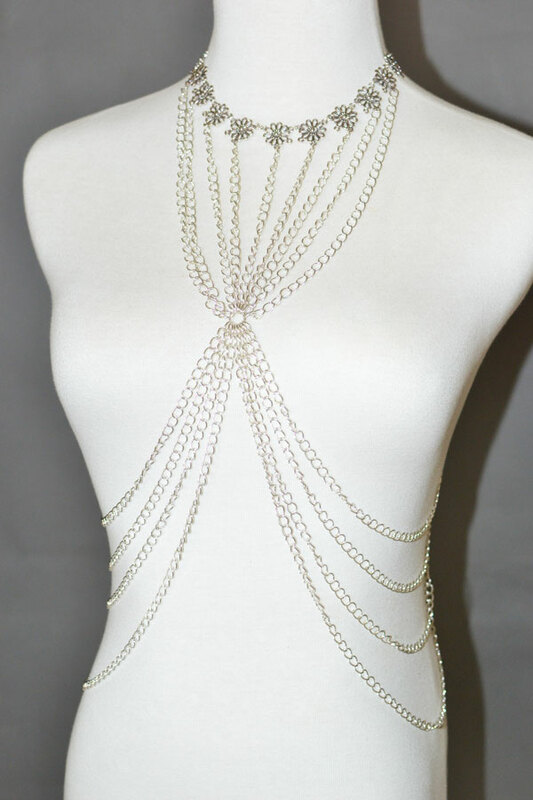 This handmade body jewelry can be custom fitted and designed for you personality. Have a try!